Motorhead front man Lemmy Kilmister is the Energizer Bunny of heavy metal; the man just keeps going and going and going… Despite several health scares which have caused some forced tour and show cancellations in recent years, Lemmy shows no signs of letting up. Sure, he’s had to slow down on his legendary diet consisting of little more than speed, Jack Daniels, and cigarettes, but otherwise it’s been business as usual. 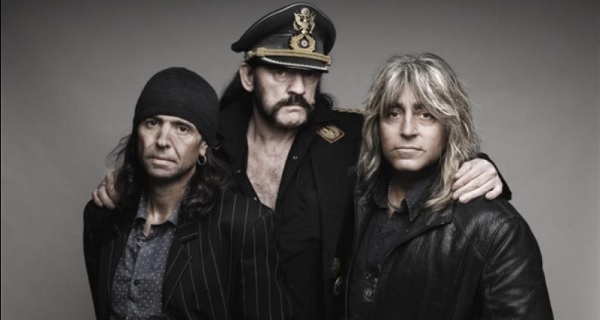 Motorhead is set to release their 23rd studio album on August 28th. The record is called Bad Magic and according to several insiders that I know who have heard the record, it may be the band’s strongest effort in years. That’s really saying something, because 2013’s Aftershock was pretty freaking great in its own right. The lead single from the album is out and it is a classic Motorhead barn-burner in the vein of “Ace of Spades.” The track is called “Thunder & Lightning” and you would never guess that it was the work of a nearly 70-year-old man! In fact, The Rolling Stones only wish that they still rocked this hard!